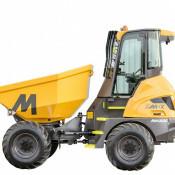 This Mecalac Dumper is available to view at our Rugby depot. 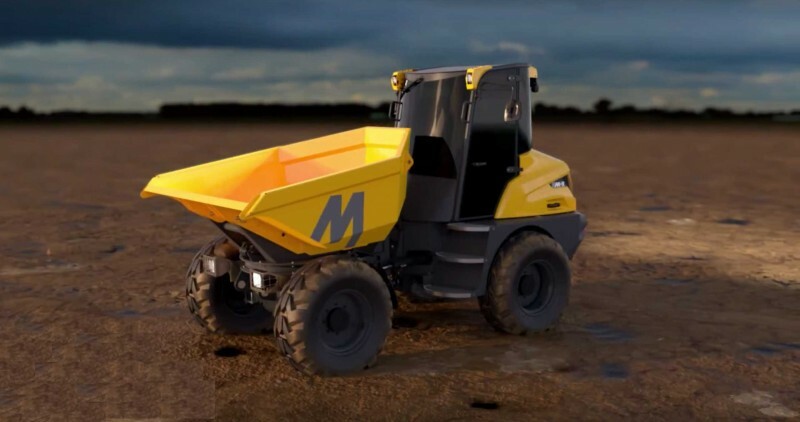 Mecalac has developed new 6-tonne and 9-tonne cabbed dumpers - the most effective tools in urban construction sites, for today and tomorrow. 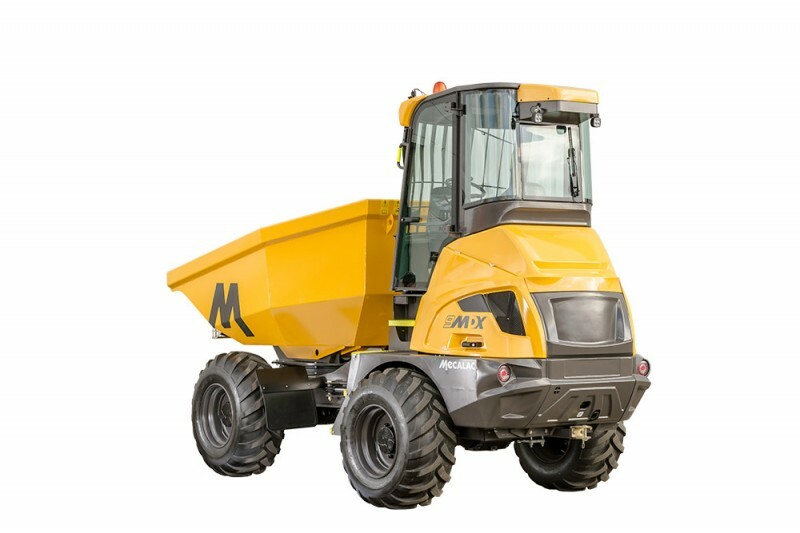 A cab that changes everything, with no equivalent on the market, that fits perfectly into the Mecalac dumper range. 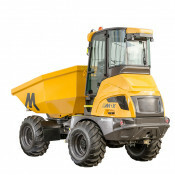 With the growth of urban construction sites and the associated challenges of confined space and environmental impact, dumpers have returned to the forefront of city building sites. 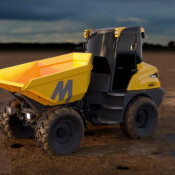 Unparalleled integration of the cab in the design. 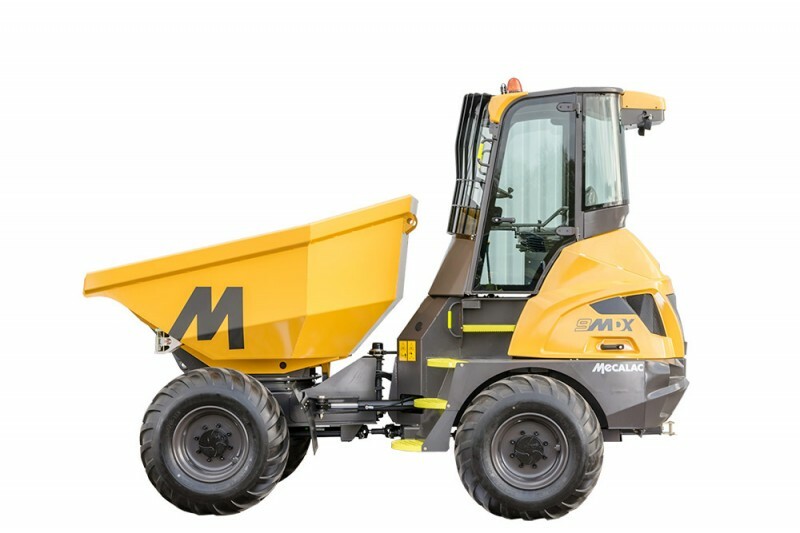 The best accessibility of any machine on the market thanks to a comfortable ladder to make climbs and descents safe and to limit driver fatigue. Butterfly side doors creating a wide access space. Excellent direct field of vision complemented by a radar, a camera and two flashing lights, the green one issues an alert if the driver still has to put on their seatbelt. The addition of a cast metal rear shield for optimum shock protection. Excellent ground clearance for optimum access on all terrain. A spring-mounted cab to limit noise and vibrations. Fuel tank and a service hatch in lower section of the machine. An advanced dashboard integrating as standard the camera screen.